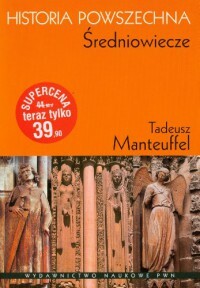 Tadeusz Manteuffel - Historia Powszechna. Średniowiecze. Reading this book only confirmed to me that the Middles Ages were nothing but dark. Of course, there were tiny moments of brightness shining on that dark sky like far-away stars, but in general, I think we can agree that the Middle Ages was not the humankind at its best. The crusades, witch hunts, the Hundred Years’ War, feudalism, and don’t even get me started on the Papacy, all the popes and antipopes and all of them infallible. It’s hardly surprising God sent us the Plague then, is it? I need something to fantasise about when I’m reading a textbook, some sliver of romanticism I can cling onto. But in the Middle Ages every fantasy was always invaded by death, disease, oppression and rats. So I sighed and read on, flying through decades, knowing it will get better eventually. There will be Renaissance and Industrial Revolution, and all other revolutions, and postmodern society. Although, to be honest, I don’t how much we have really improved morally since the medieval times. 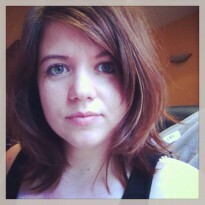 I’d like to fool myself and believe there is some progress, slow, full of setbacks, yet progress nonetheless. The most optimistic thing I have read about was Eleanor of Aquitaine who married King Louis VII of France and found him to be a little dull and just a tad too pious. She managed to get an annulment and married Henry II of England when she was about 28 or 30 and then managed to have EIGHT children with him. In the Middles Ages she had a whole litter of children after 30! Well then, I can relax now. Surely I’ll manage two. Anyway, as Wikipedia says: “Eleanor's marriage to Henry was reputed to be tumultuous and argumentative, although sufficiently cooperative to produce at least eight pregnancies.” Tumultuous is one way to call it when your husband imprisons you for sixteen years after you popped out eight of his children. Seriously, the Middle Ages, eh?